For great prices and information, please contact our office. This is a new 20hp / 15kW, base mount variable speed drive / frequency inverter rotary screw air compressor with our German manufactured airend. 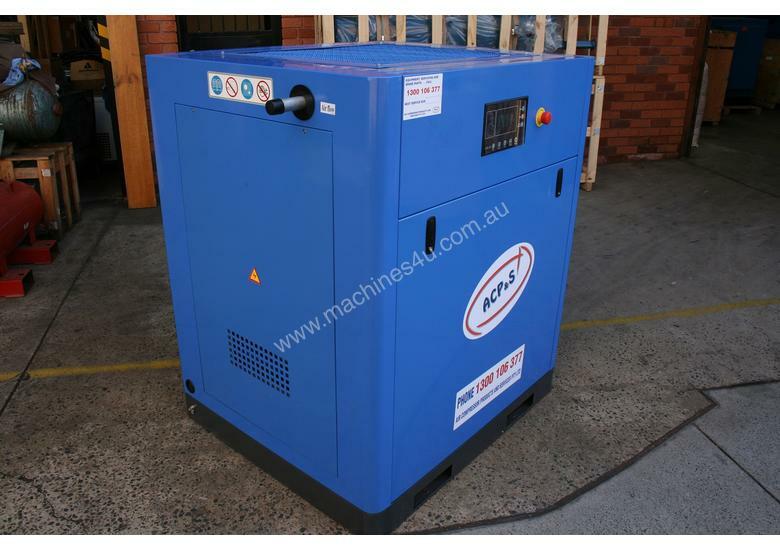 It is a top-of-the-range rotary screw air compressor with our two year warranty... model number ACPS15S-VSD. 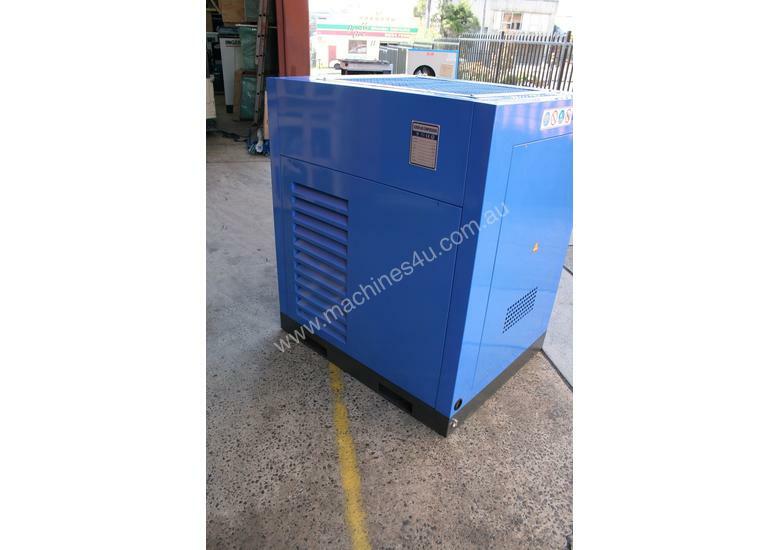 Variable speed drive / frequency inverter rotary screw air compressors can genuinely provide electricity savings of up to 25 percent when compared with other air compressors. 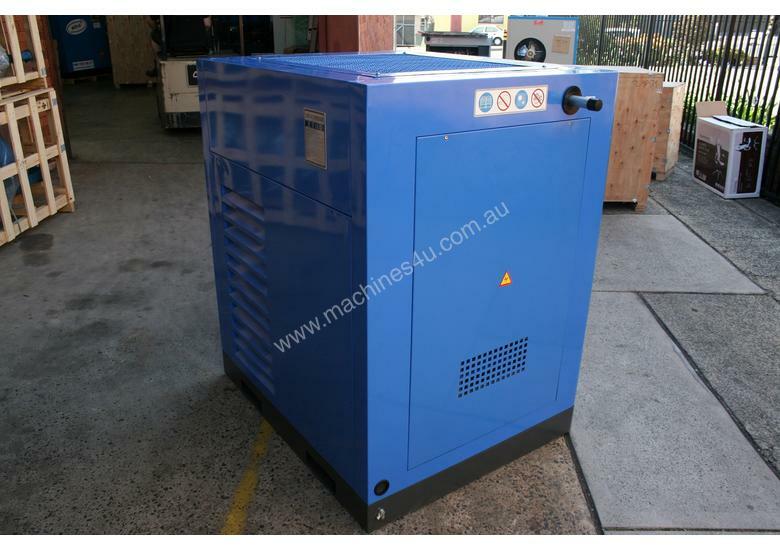 The pay-back period for a variable speed drive / frequency inverter rotary screw air compressor can be as short as six months due to the reduced electricity costs. 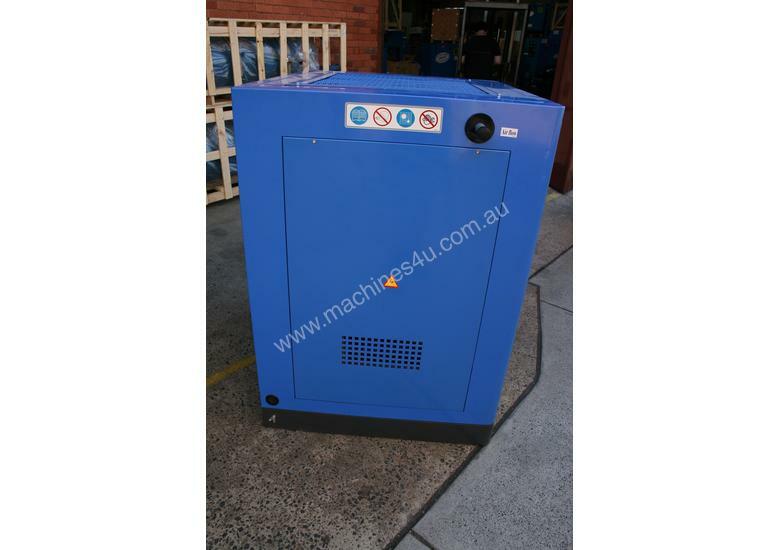 We currently have this model air compressor in-stock and ready to despatch. 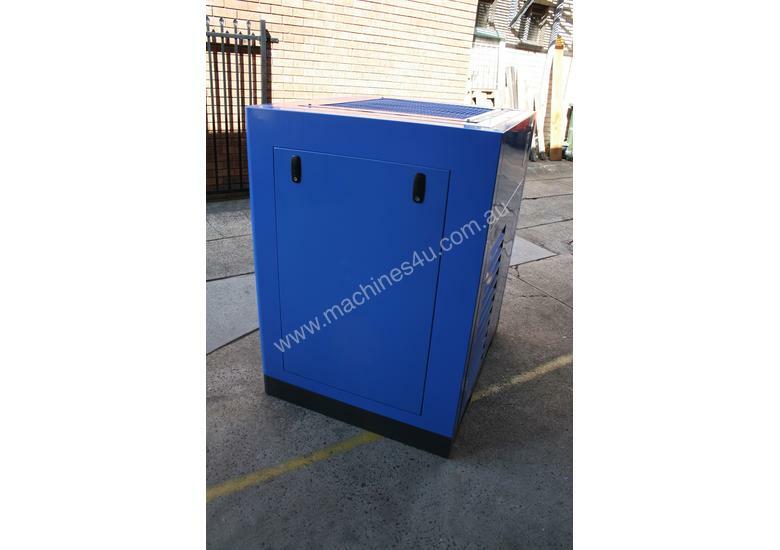 We usually have other variable speed / frequency inverter models available such as 7.5kW, 15kW, 18.5kW and 22kW models. Please call our office for details and availability. - . 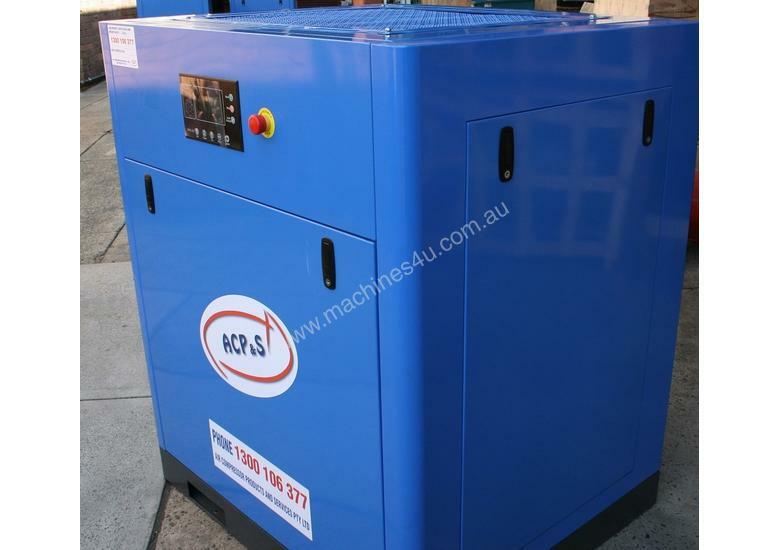 Please refer to the PDF file in the “photos” area to see other 15kW models available from ACP&S (Air Compressor Products & Services Pty Ltd). 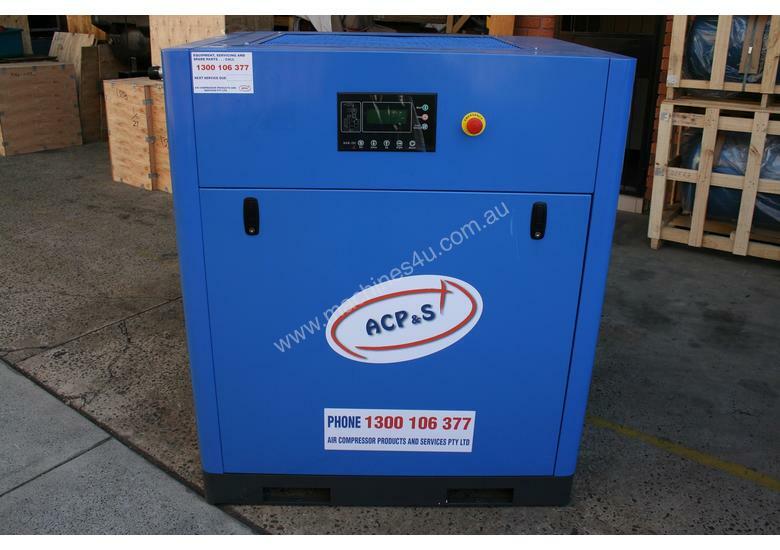 This ACPS15S-VSD rotary screw air compressor is very quiet and is ideal for installing into a work area where low noise levels are necessary. 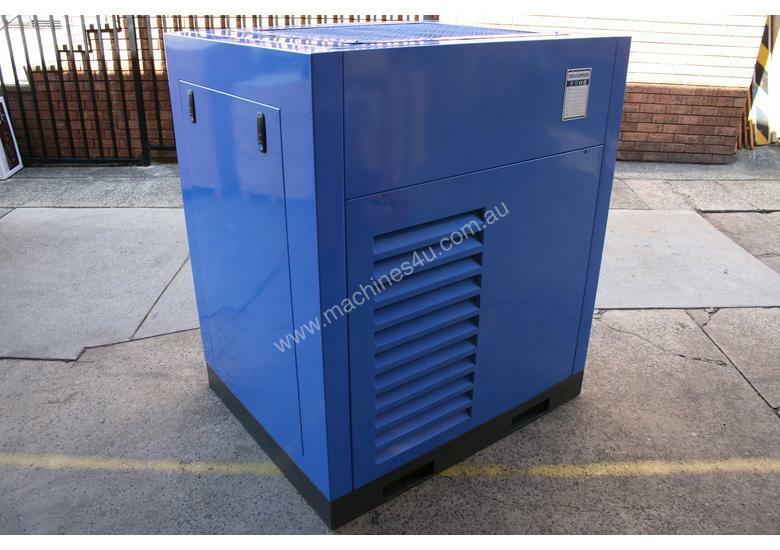 For an inspection, please call or to arrange a time to visit.
. A SUPER HIGH QUALITY VARIABLE SPEED DRIVE / FREQUENCY INVERTER TO ASSIST WITH MATCHING THE COMPRESSED AIR USAGE IN YOUR FACTORY AND TO PROVIDE MASSIVE ELECTRICITY SAVINGS. 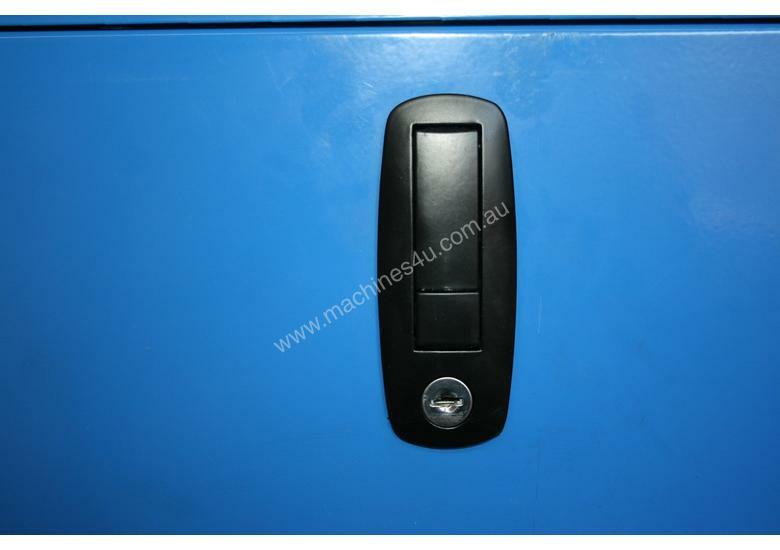 · INCLUDES A MEPS2 COMPLIANT ELECTRIC MOTOR AND IS THEREFORE, LEGAL TO USE IN AUSTRALIA. BEWARE OF OTHER UNITS WHICH ARE NOT COMPLIANT WITH THE AUSTRALIAN MINIMUM ENERGY PERFORMANCE STANDARDS (MEPS). 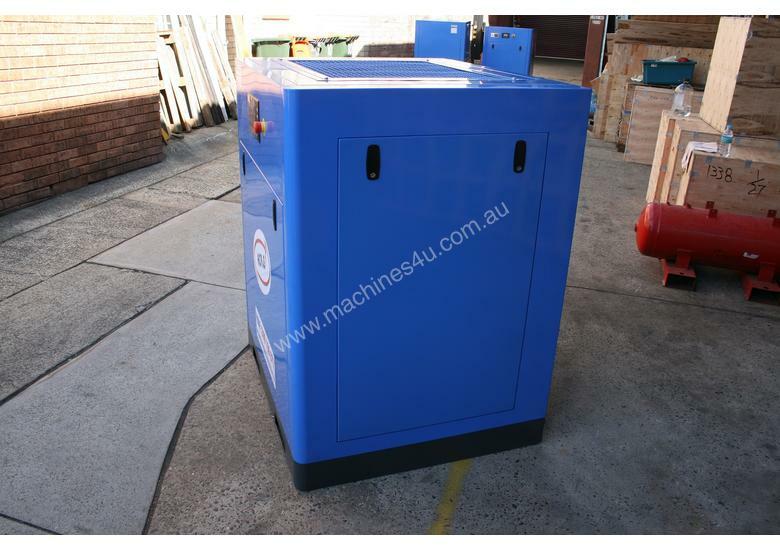 THIS MEPS2 COMPLIANT MOTOR ENSURES YOU WILL BE OPERATING A VERY POWER EFFICIENT AIR COMPRESSOR. 18.5kW / 25hp, 109cfm and it can run continuously, all day, every day... the pressure can be adjusted to suit most applications. 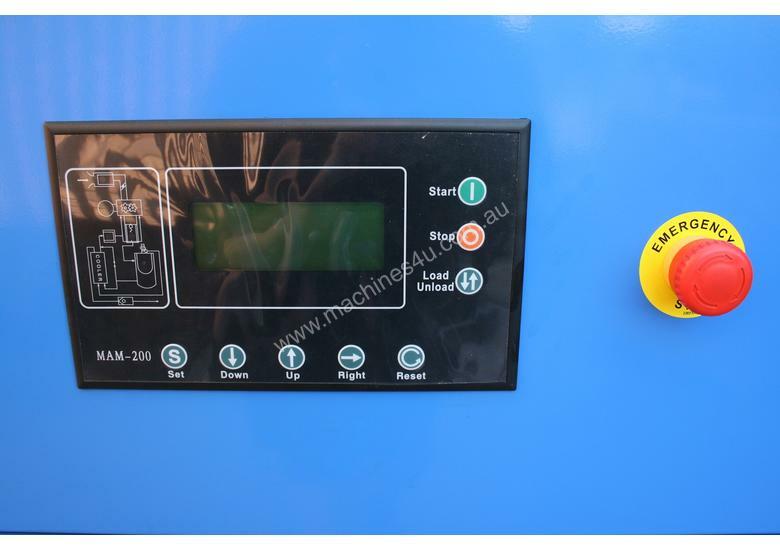 Save thousand of $$$$ with lower power consumption (when compared with piston type air compressors) which is achieved through very high efficiency. 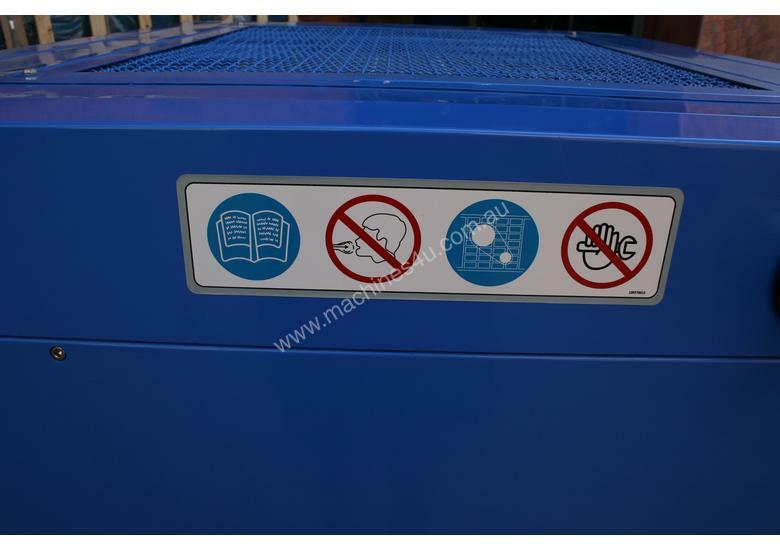 The compressor is silenced with a sound attenuated enclosure for quiet operation, it has a high quality, long lasting German airend and other European componentry that is the very best available. We can assist with installation advice if required or if you require any other information including technical, warranty or our standard terms and conditions… please call our office on the number provided. Other new and used compressed air equipment is available… please call or if you require something.